Last night, about 50 members of the Red Cliff, Bayfield, Washburn, Ashland, Bad River, and Madeline Island communities met in a talking circle to discuss how to move forward in unity after the death of Jason Pero. Jason was shot dead by an Ashland County officer last November. His killer, Ashland County Sheriff’s Deputy Brock Mrdjenovich, was just cleared of wrongdoing by the Walker administration investigation, which left the community in even more grief. What do you want for our community and what does that look like? Passing a talking stone from the shores of Lake Superior in the shape of the lake, each person had a chance to talk. These were the first step towards the healing of this horrific event for the community and finding the next practical steps to move forward towards our common ground. As the meeting ended, it was agreed that the work was just beginning, but that we are united to move this unified agenda forward, in whatever way possible. We want a community where members aligns with the seven Anishinabe values: humility, bravery, honesty, truth, love, respect and wisdom. We want a compassionate community, one that lacks prejudice and where there are no killer cops. 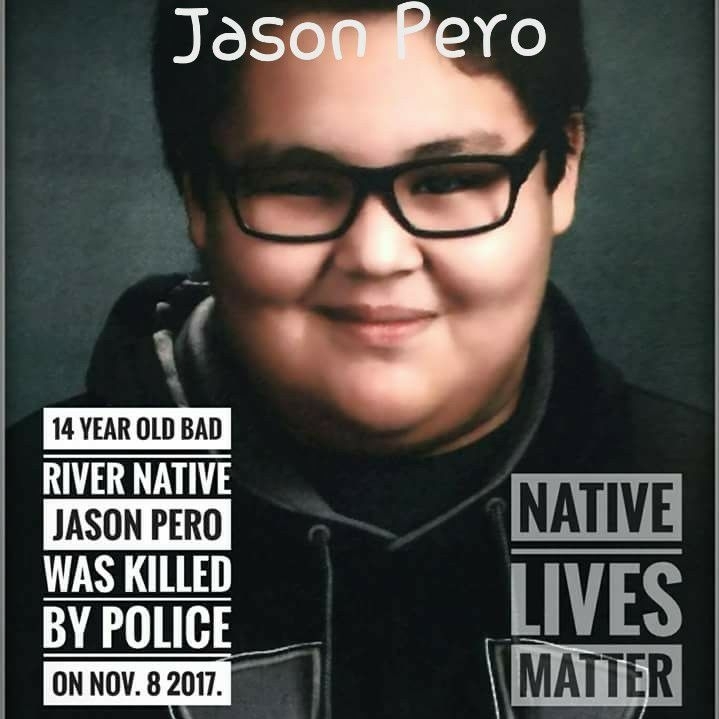 We want Ashland County government and Sheriff’s department to apologize to the Pero family and Bad River, and the community at large for the tragic killing of Jason and to work with us on this vision. We want a community where children’s pain can be recognized and honored, and where they can get help for it. We want a community where parents do not lose children at the hands of police. One where the negative energy can be transformed into protection for our kids. We want a community that can forgive, and accept the forgiveness. We want a community that insists that local government makes decisions for the good of all. We want a community that protects the air, land and water. We want a community that puts aside our sense of “otherness” and starts to really see each other, celebrating our differences and diversity. We want a community where we can come together and talk honestly, look at our shared history and listen to each other stories. We want a community that can find a way to look at others as gifts and discover what gifts we all bring. We want a community that respects the non-human world. We want a community that knows its own history, not just human history but the history of the water, earth and animals. We want a community that depends on its own health to survive. 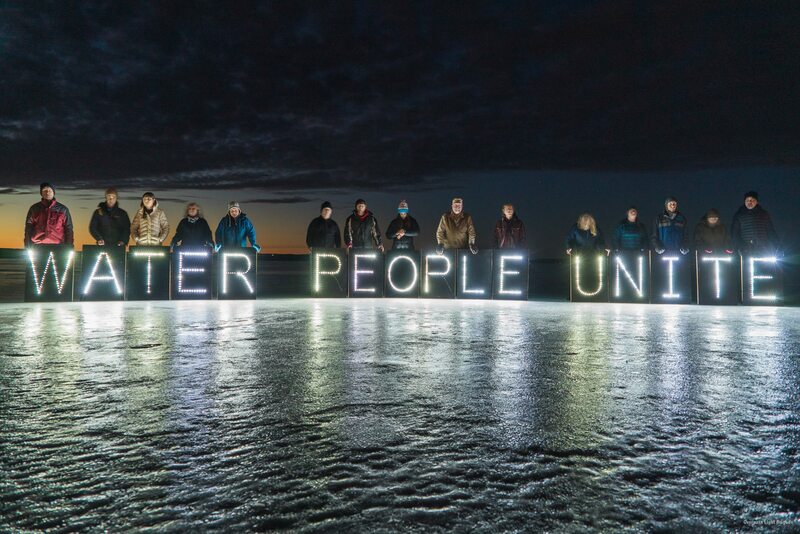 We want a community where water is a unifier. We want accountability and to acknowledge the stolen lands of the Anishinabe, and that those stolen lands can be returned. We want a community that is united around the earth and water and that we learn from the Native people and their ways. We want a community that can embrace and celebrate our differences. We want a community that can listen in respect and trust one another. We want a community that is not afraid to become involved. We want a community that can acknowledge the holocaust of our Native American members. We want a community in which Sheriff Brennan will disarm, and along with ten of his unarmed officers will go to Bad River, introduce themselves to the community and go ricing. We want a community that can understand how to deal with this kind of trauma. We need more healers. We want a community that can be accountable without shame. We want a community that celebrates and upholds the ideology of Martin Luther King Jr.
We want a community where people feel like their voices are respected and heard. We want a community that will put pressure on our institutions to change from within. The next meeting will be scheduled soon and we will continue the work of making these dreams reality. Miigwech and love to everyone who attended.